According to the U.S. Consumer Product Safety Commission (CPSC), top electrical safety hazards include electrical fires caused by aging wiring and misuse of surge suppressors, and electrocutions from wiring systems and large appliances. Electricity causes more than 40,000 fires ever year in the United States, resulting in hundreds of injuries and deaths. Insulation is a primary protection against electric shock, but it can get worn or cracked. Inspect it regularly. Look for frayed cords on power tools. Replace damaged electrical equipment or have it repaired at an authorized repair center. 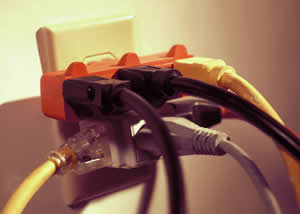 Replace frayed cords, broken plugs or cracks that could cause hazards; cut and throw out damaged cords. Plug grounded (3-wire) tools only into grounded outlets. Don’t pick up power tools by their power cords. Read and obey all signs and posted warnings. Don’t let these important sources of information become an unnoticed part of the landscape. Don’t work with electricity in the rain. Use ground fault circuit interrupter (GFCI) protection when working where water is near electricity, in areas such your kitchen, laundry room, bathroom or outdoors, to protect against electric shock. Leave technical, complicated or confusing tasks involving electricity to electricians and other specialists. A little knowledge can definitely be a dangerous thing when it comes to wiring, troubles hooting and repairing electrical devices and circuits. Use a wood or fiberglass ladder if you are working with or around electricity. If you are working with someone who gets shocked, first make sure you shut down the source of the current. If the victim appears to still be touching the source of the shock, move him or her away using something make of wood or plastic. Make sure that all appliances and equipment are approved by an independent testing laboratory, such as Underwriters Laboratories (UL). For appliances and equipment, follow the manufacturer’s instructions. When using a generator, plug appliances directly into the generator or use a heavy duty outdoor-rated extension cord that is free of cuts and tears and has a 3-prong plug. Make sure power strips and surge suppressors are designed to handle the loads for their intended use. Don’t overload circuits by plugging too many items into the same outlet. In one recent year, some 1,600 fires in American homes involved what most of us call “propane”: liquefied petroleum (LP). Grills, hot water heaters and stoves were the most common pieces of equipment involved in these fires. Forty-one people died and 260 were injured. If you use propane for your stove or oven, the tank must be mounted outside. Never use a propane grill inside. Don’t store or use propane cylinders larger than one pound inside your home. 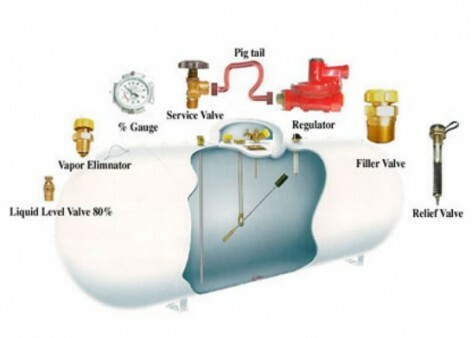 Have propane equipment inspected periodically for leaks or broken parts. Learn what propane smells like so that you can recognize a leak. Many retailers offer pamphlets with a scratch-and-sniff spot. If you use a lot of propane, you can also buy a leak detector. If you are inside and smell a leak, get everyone out of the building and call the fire department from your neighbor’s phone. If the controls in any propane appliance have gotten wet (during a flood, for example), they may have been damaged. Have them checked (and replaced, if necessary). If you use a propane furnace, find out how to clean it and follow the instructions. If you use a propane hot-water heater, drain it once in a while to get rid of sediment. For propane stoves, make sure the burner flames are blue. If they are yellow, have the stove serviced because air inlets or burners may be clogged or out of adjustment. In 1998, 4,700 gasoline fires in U.S. homes killed 86 people, injured 463 others, and damaged $92 million worth of property. Using it to start a grill or bonfire. Store gasoline where children can’t see or reach it. Never allow children to handle gasoline. Don’t use or store gasoline near anything that runs on electricity, oil or gas; anything that contains a pilot light; or anything that can produce a spark. Store gasoline outside your house, in a garage or shed, for example. 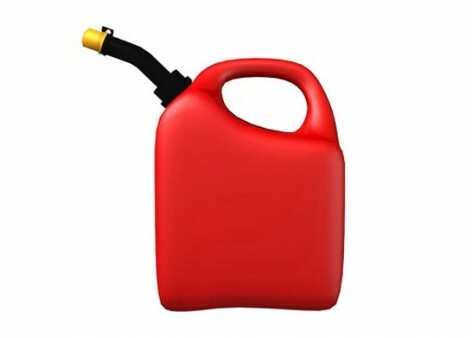 Keep gas in a tightly closed, metal or plastic container specifically made for gasoline. Don’t use milk jugs or other bottles. Keep the minimum amount of gas you need for your mower or other tools. When you are putting gas in your car, don’t get back into and then out of the car. Have a fire extinguisher marked for “B” type fires (gasoline and other flammable liquids). Know how to use it. Have a qualified technician inspect your heating system and hot water heater before the heating season begins. If you buy an older house or rent an apartment or home, have the system checked. Buy heating and cooking equipment approved by an independent testing laboratory. If you live in base housing and use supplemental heaters, make sure they are permitted. 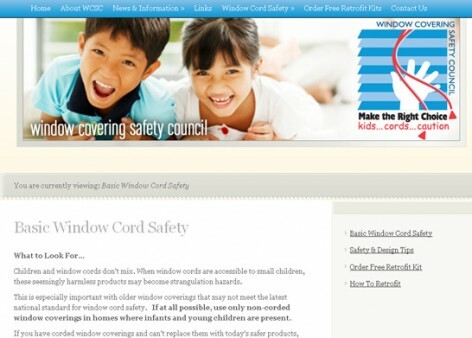 Read the manufacturer’s warning about ventilation. Have them inspected by a qualified technician every year. 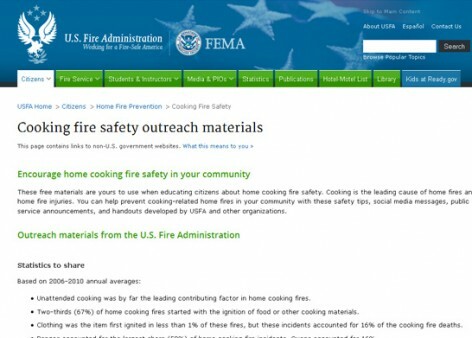 Never use a hibachi or barbecue grill inside a home or garage. Ensure the flue is clear before lighting your fireplace. Never leave your car or truck running in the garage. Do not assume opening the garage door will let in enough fresh air. When you start your car or truck, drive it outside immediately. When you return, turn the motor off when you stop. If you suspect there is an exhaust leak, get it fixed right away. 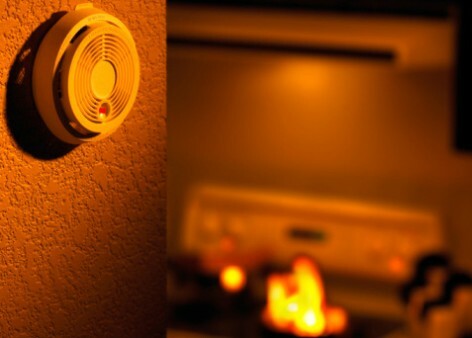 Install a carbon monoxide detector inside your home to provide early warning. These devices sound an alarm when the concentration of CO in the air corresponds to a level of poisoning still so low that people do not become sick. Follow manufacturer’s recommendations for correct placement. Test the device every month and replace the detector or battery as recommended, generally every two years. If you ever think you are experiencing CO poisoning, get into fresh air immediately. Open doors and windows. Call for help or go to an emergency room. Don’t wait. Buy a mower that has a “kill switch” built into the handle, so that when you release the handle, the engine stops and the mower stops moving. 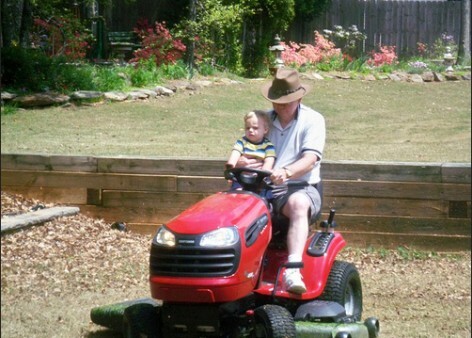 There are sensible age limits for mowers. To use a riding mower, you ought to be at least 16 years old. For regular, walking mowers, 12 years old. Wear strong shoes or boots, not flip-flops or sneakers. Pick up rocks, sticks, pinecones, and toys before mowing, even if you are using a mower that collects the clippings automatically. Wear goggles or safety glasses, and wear hearing protection. Once you get used to protecting your hearing, you’ll be amazed at how annoyingly noisy a mower is when you aren’t wearing anything. Don’t mow when other people are nearby. Put gas in your edger and mower outside, and do it before you start, not during. If you are going to remove or replace the blade, disconnect the spark plug first. Turn off the mower and wait for the blade to stop spinning before you empty the grass catcher, unclog something from the blade or under the mower, or push the mower across rocks or gravel. Riding mowers aren’t meant to carry passengers. Once we start eating and playing more outdoors, we are quickly reminded which living creatures dominate the earth: insects. Weeds attack the lawn. Mice carry off the dog food in the garage. Mildew grows on the siding. Here are some tips for making sure that you don’t harm yourself, your family or your pets while fighting these pests. 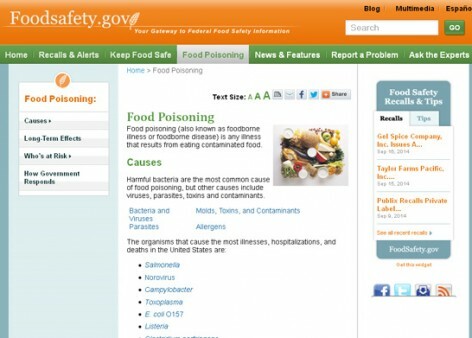 Pesticides are the second leading cause of household poisonings in America. 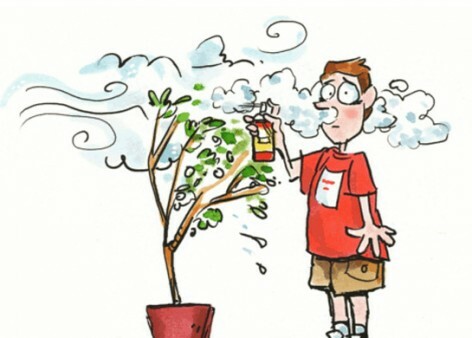 At least 2 million people have harmful exposures to aerosol bug killers and repellents and other sorts of household pesticides. 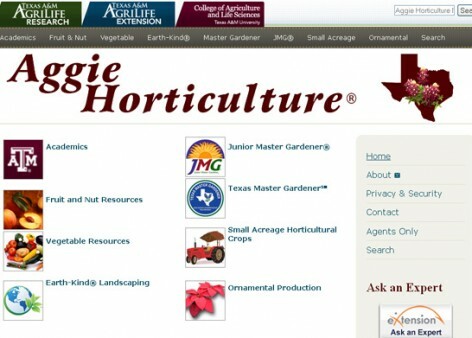 More than half of those who die from pesticide-related poisoning are children. Read labels carefully and follow the instructions for how to apply, how much and how often. Try to substitute non-toxic insecticides. If you have to dilute a pesticide, use a special container and mark it with the contents and the word “Poison.” Never use a bottle or job that once contained food or drink. If you need mixing spoons, but a special one your using with pesticides and keep it with the pesticides in a secure cabinet. Don’t mix pesticides in an area that your family or pet uses. Protect your eyes and skin. Stay upwind of the area you’re spraying. Unless the label says differently, don’t store diluted pesticide sprays. They often don’t remain effective. Instead, follow the instructions for disposal. Don’t contaminate the storage area with spilled pesticide. Store undiluted pesticides correctly. Ideally, keep them in a cabinet or closet that you can lock. It should be dry and well-ventilated. Store pesticides in their original containers. Don’t remove the label. Overloaded electrical circuits. Look for power strips plugged into power strips, too many machines plugged into one outlet, or devices that require a grounded outlet plugged into ungrounded outlets. Blocked or awkward hallways and passageways. Extension cords or power cords lying where people have to walk on them. Hazardous materials stored in the open or in the wrong place. Fire extinguishers that are missing, that don’t have an inspection tag, or that haven’t been inspected in a long time. Floors or decks that are slippery or irregular. Ladders with loose or slick treads. Missing safety lines and warning signs. If you like to play in or on water, there is one golden rule: Learn to swim. The American Red Cross offers swimming classes for all ages and all levels of ability. Put an extension telephone by the pool or keep your cell phone handy. You may need to call 9-1-1. Learn CPR. As a general rule, babysitters and anyone who cares for children ought to know CPR, as well. A poster showing CPR instructions is a handy reference. Fence the pool (consult your local building codes). Don’t leave furniture near the fence that kids could use to climb over the fence. 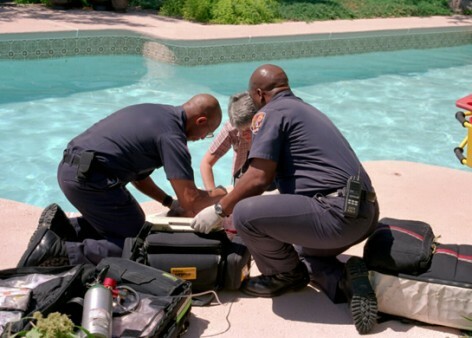 Keep some basic lifesaving equipment–such as a pole, rope, or life rings–by the pool and know how to use it. If you have a pool cover, always remove it before swimming. Make sure that adults know exactly how many kids are at the pool, and that one adult is always “on duty” watching them. 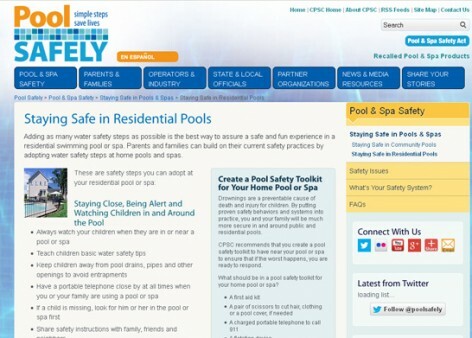 As soon as a child isn’t visible, check the water and the bottom of the pool first. Shoveling snow can be excellent exercise, but it can also be hazardous to people who overdo it. If you are older than 40, or if you aren’t in good shape, be careful. If you have a history of heart trouble, check with your doctor before grabbing that snow shovel and clearing the driveway or sidewalk. Don’t shovel snow just after you eat. Pace yourself. 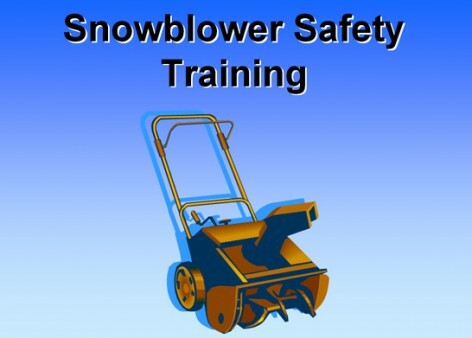 Snow shoveling is a strenuous exercise that raises both your pulse and blood pressure. 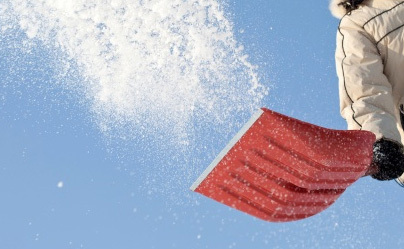 Treat shoveling like an athletic event: warm up before you start, and stretch during and after shoveling. Try to shovel fresh snow, which is easier to handle than snow that has partly melted or become packed-down. Try pushing the snow forward instead of scooping and lifting it. Push or pick up small amounts at a time. 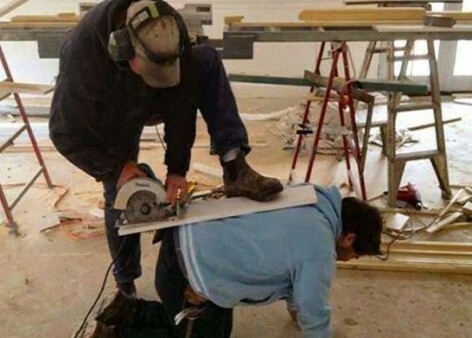 Concentrate on using your legs instead of your back. Bend your legs and keep your back straight. Take breaks. And don’t work until you are exhausted. If your chest feels tight, stop immediately. Wear layers of clothing, and keep your hands and feet warm. When backing out of a driveway or leaving a garage, watch for children walking or bicycling to school. When driving in neighborhoods with school zones, watch out for young people who may be focused on getting to school but may not be thinking about safety. Slow down. Watch for children playing and gathering near bus stops or walking in the street, especially if there are no sidewalks. Be alert. Children arriving late for the bus may dart in to the street without looking for traffic. Get the children to the bus stop at least five minutes before the bus is scheduled to arrive. When the bus approaches, have them stand at least three giant steps (6 feet) away from the curb, and line up away from the street. Instruct children to wait until the bus stops, the door opens, and the driver says that it’s okay before stepping onto the bus. 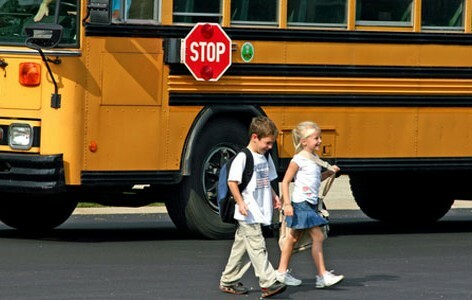 If children have to cross the street in front of the bus, instruct them to walk on the sidewalk or along the side of the road to a point at least five giant steps (10 feet) ahead of the bus before they cross. Be sure the bus driver can see them and they can see the bus driver. Purchase needed items for your home, office and car including: flashlights, batteries, AM/FM battery powered radio, rechargeable power failure lights, wind up or battery alarm clock, and lightsticks. Have a 72-hour emergency kit for each family member. Keep cash and change on hand. In power failures ATMs may not work and you may need to make a phone call at a pay phone. Phones with answering machines and cordless phones are power dependent. Have at least one phone that does not require power in case you need to call 9-1-1. Keep your cell phone powered up. If you use your fireplace for heat, be responsible! Don’t burn wood with paint or stain. Do not leave an open flame. Make sure you close your fireplace screen to prevent sparks from flying. Do not store newspapers, kindling, or matches near the fireplace. If you use candles for lighting, place them on a fire proof surface. 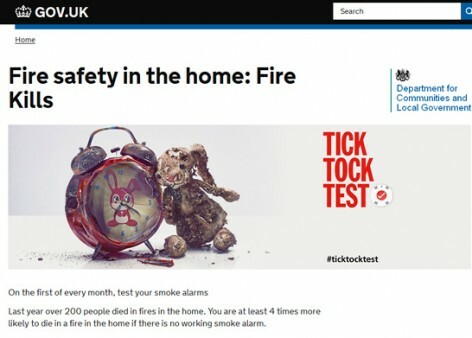 Make sure you have smoke detectors in appropriate rooms. Change the batteries regularly, preferably every 6 months, and test them monthly. If your smoke detectors are wired directly into the electrical system of your home they will not operate during a power failure unless the batteries are working. Special smoke detectors are available for people with hearing impairment. Have a fire extinguisher and know how to operate it. Have a fire evacuation plan and practice fire drills. During the power outage, unplug all small appliances and electronics to avoid damage from power surge. Leave one low wattage incandescent light on so you know when the power comes back on. When power comes back on you may have to reset your clocks, VCRs, microwave ovens, programmable thermostats, burglar and fire alarms. Have a plan for checking on and reuniting family members. Stay home and be safe during a power outage. Stores and gas stations may be closed. Don’t add to the confusion by driving around. During an area-wide power outage, traffic signals may be out. If so, remember the intersection becomes a 4-way Stop. Watch for suspicious activity. Criminals may decide to take advantage of the power outage. Always call 9-1-1 if you notice suspicious activity. 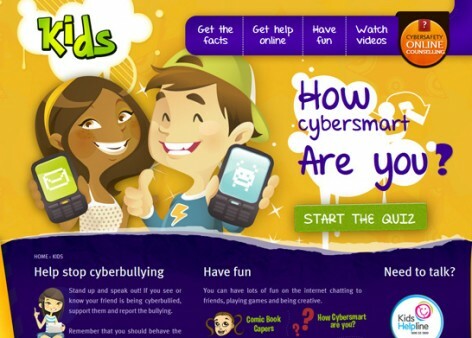 Focus on children’s needs. Provide flashlights or light sticks for each child that they can keep by their bed and in their backpacks. 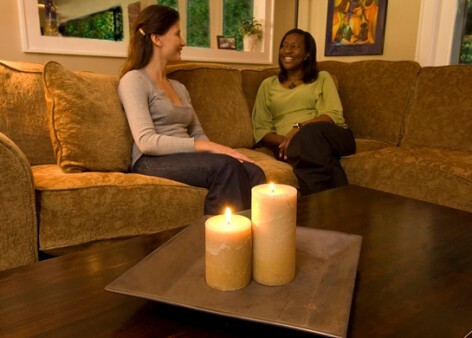 Discuss living without electricity and how the outage is usually short term. Elderly people and people with disabilities who are on power-dependent medical devices should arrange for back –up power with their vendors. Power-dependent devices include: medication pumps connected to IV, including pain control, anti-arrhythmia and chemotherapy; dialysis machines; home ventilators; and backup oxygen tanks. People who are medically dependent on electricity may need portable generators. Safely store fuel only in approved containers, outside, never in garages. 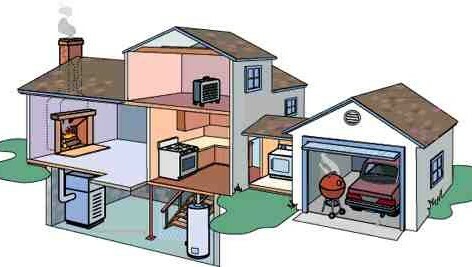 Operate generators only outside, ensuring that exhaust will not enter the home through vents or windows. Only use fresh gasoline because old gasoline can ignite. Plug appliances directly into the generator using heavy-duty extension cords. NEVER attach generators to the facility current. All hospitals are required to have backup power. Medically dependent persons without adequate back-up power can call 911 for transport to a hospital where power can be supplied until the outage is over. Have a first aid kit in your home, office, and car. Take first aid and CPR training. Sewer pump stations have limited storage capacity. Limit all water usage, and avoid flushing your toilet during a power outage. Be a good neighbor and check on any neighbors with special needs: elderly people, people with disabilities, and children who are home alone during a power outage. They may need your help. Fires and burns continue to be the third leading cause of unintentional injury death at home. In 2002 alone, 2,200 people lost their lives in home fires. Particularly at risk are the very young and the very old. 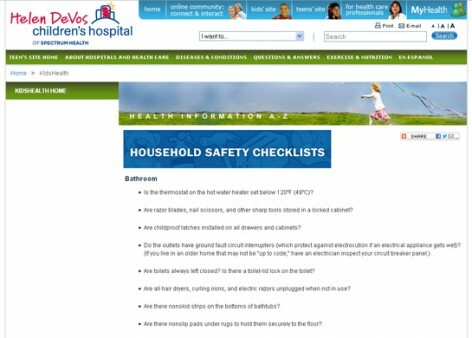 Follow the safety tips listed below to protect yourself and your family. Draw a map-one that’s easy for all members of the family and visitors to understand. Everyone must understand that once you escape, you must never reenter a burning building-no matter what you might have left behind. After you’ve planned for the family, don’t forget the pets. Alert firefighters about your pets. Don’t rely on window or door decals to alert firefighters-such decals are often found to be outdated. In the event your pet suffers from smoke inhalation, rush the animal to the vet. Make sure the pilot light(s) always works. Regularly clean or replace vent screens. Don’t smoke in the kitchen. Know the location, type and purpose of your fire extinguisher. Avoid wearing loose clothing that can get caught in flames or appliances. Use an approved fire extinguisher or baking soda to put out small flames. When frying or heating oil, make sure the pot or pan has a lid that the lid is handy. 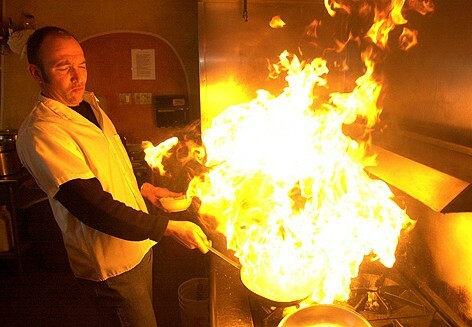 Cover a burning pan with a lid. If anyone’s clothing catches fire, the rule is to stop, drop and roll. Keep the handles of pots and pans pointed toward the back of the stovetop. When using a gas stove, turn off the flame before stirring, turning or flipping food. Turn it back on when you’re finished. If the stove is electric, warn children that it will stay hot, even after it has been turned off. Don’t let anyone but adults put things in an oven or take them out. 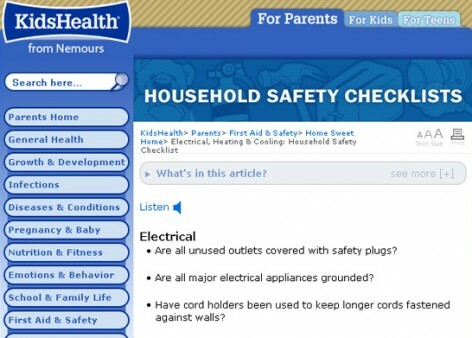 Never leave a child alone when cooking or when an electrical appliance is within reach. Never leave appliance cords hanging from counter tops. Remember the acronym “PASS:”P–Pull the pin, A–Aim extinguisher nozzle at the base of the flames, S–Squeeze trigger while holding the extinguisher upright, S–Sweep the extinguisher from side to side, covering the area of the fire with the extinguishing agent. Toddlers and preschoolers are the most likely to be poisoned, because they are curious, unpredictable and fearless. They imitate what they see grownups doing, which includes getting things out of cabinets and taking medicines. Adults have to make homes and daycare centers safe for children. Store all chemicals and medicines separately and safely, and in a locked cabinet. Putting them on a high shelf is worthless when it comes to kids who can climb. Don’t leave cosmetics, cleaners, vitamins or cigarettes on a shelf or counter. Never leave a container of hazardous material, even for a brief time. 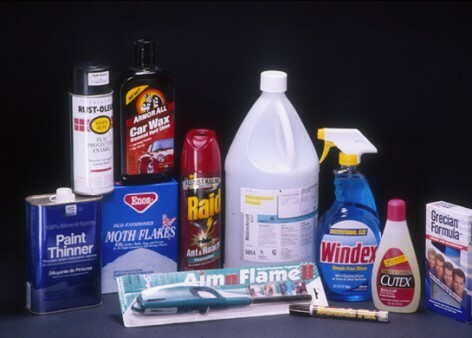 Poisonings often happen when an adult gets interrupted while using a product and leaves to answer the phone or to see who’s at the door. Don’t assume there is such a thing as a “child-proof” cap. Some are “child resistant,” but none are child-proof–they just take a little longer for an inquisitive and determined child to open. Know what to do in case of a poisoning. 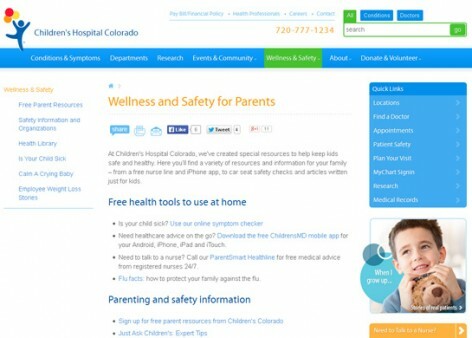 Don’t wait to see if the child appears sick. Have the phone number for the nearest Poison Center, and post it near the telephone. Ipecac syrup and activated charcoal are sometimes used as treatments for poisonings. They can be bought at the pharmacy without a prescription. Keep them in your first aid kit, but don’t given them to a child unless someone at a Poison Center tells you to. The growing popularity of candles has spawned all-time highs in the number of fires started by candles (12,540 in 1998, for example, which killed 157 people and caused $176 million in property damage). About a third of these fires broke out when people left candles unattended and didn’t use them carefully. About a fifth of the fires started when people put candles too close to something. 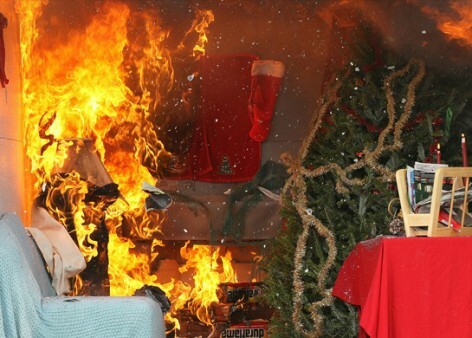 According to the NFPA, December is the month when fires caused by candles are most common. Nearly half of home candle fires start in the bedroom. When you leave a room or go to bed, put out all candles. Don’t trust a candle holder to contain a lit candle. Don’t put candles near things that burn: books, newspaper, tablecloths, clothing, wall hangings, pictures, curtains. Window sills, in particular, are not good places for lit candles. When you buy a candle holder, look for several features: it should be hard to tip over, made from a material that won’t burn, and should be able to catch melted wax. If you have a decorative holder that is flammable, keep a close eye on candles in it and put them out before the flame gets near the holder. Make sure that kids and pets can’t get near candles. If a candle’s wick gets too long, it can produce a dangerously large flame. Don’t buy candles that have flammable things embedded in them. Don’t leave children along in rooms with candles. Keep candles, matches and lighters in a high cabinet that children can’t see or reach. 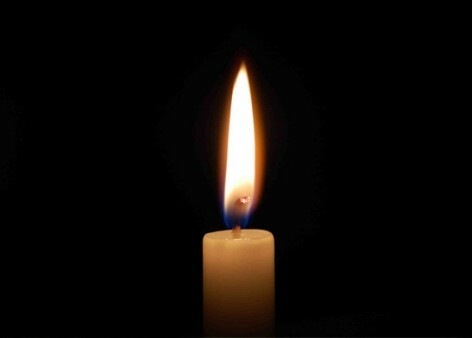 When the power goes out, you can light candles but don’t carry them around. Have a flashlight if you need to walk around and find supplies, your cell phone or other things. Don’t use a candle to check the pilot light on a stove, or to examine kerosene heaters or lanterns. Always read and follow the instructions on the label. 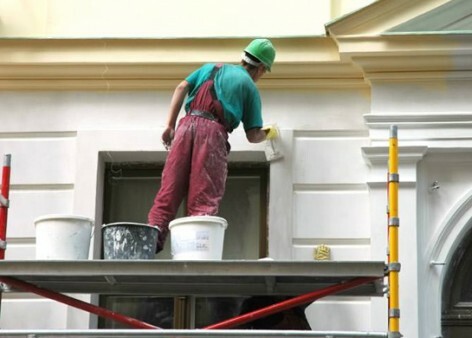 You will have much better results in terms of how the paint covers, how it looks and how long it lasts. You will also learn how to avoid hazards, such as those posed by flammable paints. Oil-based paints will require you to work with paint thinner. Also, you must minimize exposure to oil-based paint vapors. Open windows and doors to let in fresh air; a box fan in a window will help. Pay attention to potential sources of flame or sparks. If you are painting in a kitchen, for example, where a gas stove has a pilot light, turn off the gas to the oven while you are painting and while the paint dries. If you spill paint or thinner, clean it up right away. Keep cans of paint and thinner closed. Protect your skin by wearing a long-sleeve shirt and long pants; this will also minimize the amount of skin you might have to clean with paint thinner. Wear solvent-resistant gloves and splash-proof goggles while cleaning brushes and equipment; some people wear gloves while painting, as well, because no matter how hard you try, paint ends up getting everywhere. The less contact your skin has with paint thinner, the better. If you feel dizzy or nauseated while painting, get into fresh air immediately. If you do get solvent on your skin, wash right away with soap and water. Follow the instructions for how to store paint and solvents. Make sure containers are tightly sealed. Don’t store paint or solvents near furnaces and space heaters. Keep paint away from children. Never re-use empty paint cans or solvent cans.